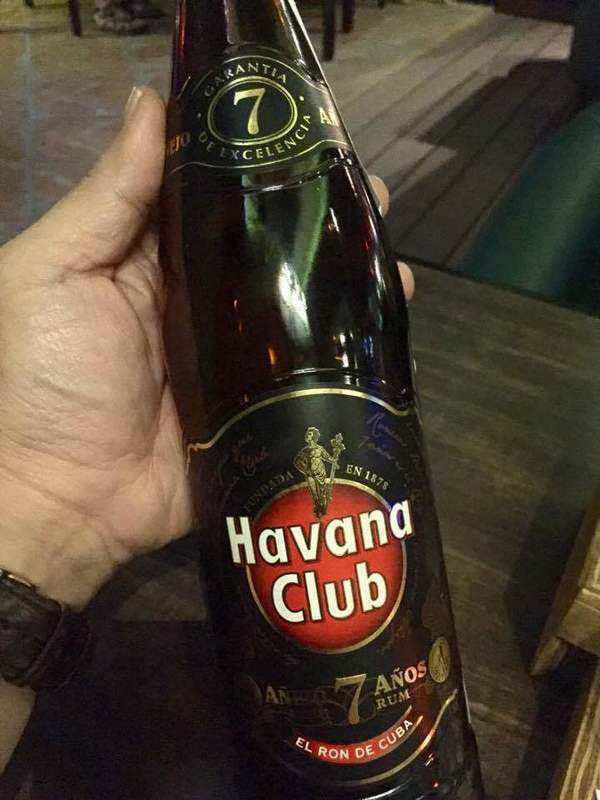 On my last international trip, I brought back 2 bottles of rum: Havana Club Selección [de Maestros], and Havana Club 7. The latter was a last-minute impulse buy at the duty-free, based on my impressions of having tried it earlier and being able to carry another bottle home. And let me tell you, I am so glad I got it. At ~$40–50, Selección is a quality sipping rum and worth every penny. At ~$20, HC7 is a rum you can mix with every day without breaking the bank. Around the world it's just another rum; not bottom shelf, but nothing too special, either. But here in the US, I would argue, it is among the very best rum you can buy for the price (which, unfortunately, we still must do outside the US). The nose hints at alcohol, but it's subtle. Woody and rummy. The flavor is rich—a dry expression of tobacco and oak, with a balanced burn. Yes, it is amazing in Coke, but it's also very good neat (perhaps with a cigar that's not too fancy). In cocktails, it's almost more like a super-dry Demerara (!) than a typical "Spanish-style gold" rum, which I tend to find lackluster, and offer a lighter, smoother, sweeter, more caramel/vanilla-forward flavor profile. HC7 is full-bodied, interesting, and (again) delicious. To each their own.